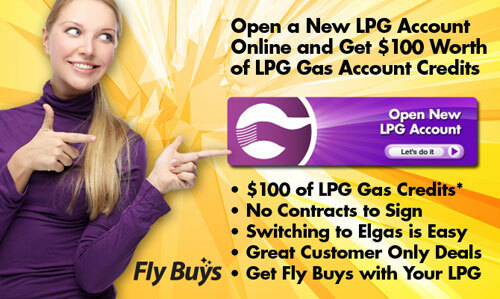 Adding LPG to your NZ home is easier than you think! We work with you to get you the appliances you want, an experienced tradesman to do the installation and everything you need to know as a New User of Home LPG. First, you decide on which LPG Gas Appliances you wish to have. 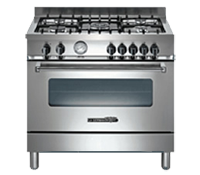 Our Online Appliance Catalogue has a great selection of types, brands and models from which to choose. 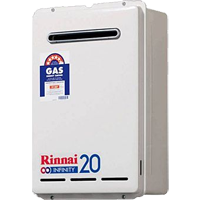 Continuous Flow LPG Gas Hot Water Systems are a great choice to replace old electric hot water heaters. They are energy efficient and they only run when you are using your hot water. Best of all, you'll never run out of hot water again! LPG Gas Heaters also have advantages over the electric alternatives. 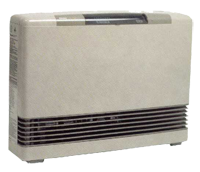 They can heat an area much more quickly and, unlike reverse cycle air conditioning, continue to provide maximum heat output even when it's very cold outside. Gas cooking is the obvious way to go. Rapid heating and instantaneous heat control makes it the choice of professional chefs and great home cooks around the world. Pre-purchase the appliances so that they can be connected as part of the LPG installation process. Make sure you specify the LPG version of the appliances, as they are slightly different from the natural gas models. This will save time and could save you money, as you will only need to have the gas fitter to your home for one complete project. You could save even more money, if you choose one of our great LPG Bundle Offers. You also want to pick your LPG supplier before the gas fitter starts, as the tradesman will need to know from whom to order the initial gas bottles. As part of the selection process, you will need to decide on the type of delivery that you want. There are two choices: Automatic Tanker Delivery and Gas Bottle Exchange services. Most home LPG users prefer the Automatic Tanker Delivery, as there is no need to check gas bottles, changeover between gas bottles or even order gas. With our Automatic Tanker Delivery, the deliveries are scheduled for you, based on the appliances you choose and how much gas you use. You even have the option of underground LPG storage. It really is EFFORTLESS LPG™! You should choose a licensed gas fitter that is familiar with LPG and the installation of the appliances you have selected. For example, some gas fitters may not install gas fireplaces or other particular types of appliances. Some specialise in a particular type of appliance, such as hot water heaters. We work with you to identify an experienced gas fitter in your area who can do what you require. The gas fitter will install a gas regulator, the gas bottle connectors and the gas service pipe to the appliance locations. These items become part of your property. We provide the gas bottles and our $100 Bonus Welcome Package. Be sure to tell the gas fitter if you are getting our Automatic Tanker Delivery, as this can affect the placement of the gas bottles. The gas fitter will then install and connect the appliances, including any plumbing work that is required. We will coordinate the initial gas delivery so that he can test the appliances as the last step of the project. 6. Enjoy Your New Gas Appliances!